Unlock your sports potential with this little ball. This little ball has not only help me reduce my chances of injuries during heavy and intensive workout but it also improves my mobility and strength! With a simple technique taught by Kelvin Quah to release the trigger point by using the ball. Now Coach Kelvin is opening up this workshop to non members as well. Do email me at heechaiong@gmail.com if you are interested. Fees is at $100 (u.p $120) for heechai.com readers only! 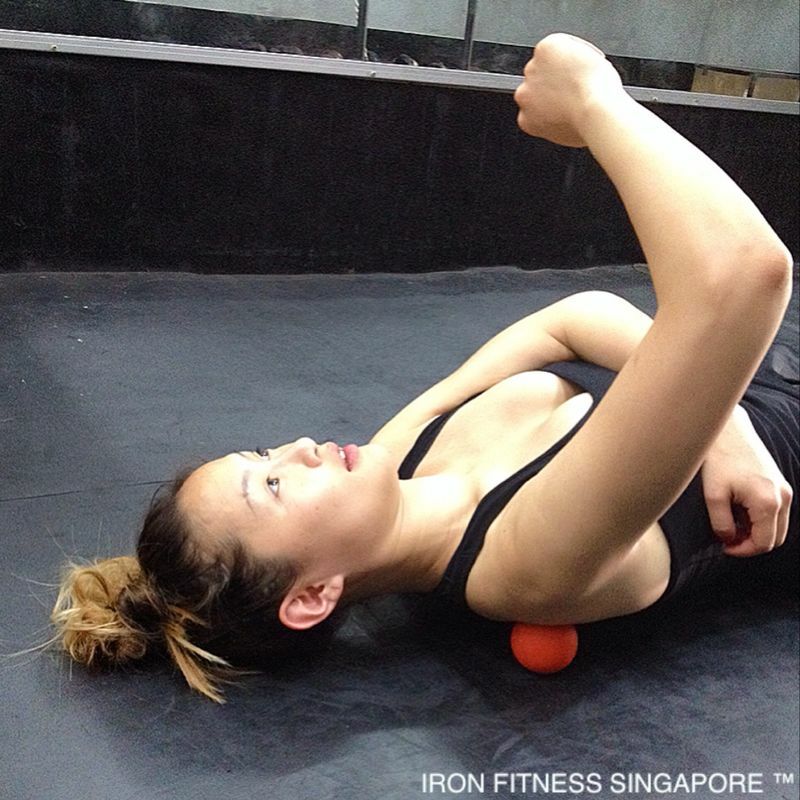 Author heechaiPosted on 14 June, 2014 18 April, 2018 Categories Article, Workout TipsTags how to improve mobility, how to improve strength, improve sports performance, trigger point release, trigger point workshop, workshop singaporeLeave a comment on Unlock your sports potential with this little ball. How you can reduce your chances of Injuires! Injury is something that nobody wants and are afraid of regardless if the person is a professional athlete or a working adult. 7 most common sports injury according to webmd. Some of these injuries is caused by accident, however most of it is caused by muscular imbalanced. Muscle imbalanced is trigger point pulling its surrounding muscle which causes other part of the muscle group to be tight. The pulling spot is known as a trigger point, every one will have trigger point. Trigger point is form after muscle contract and a small area that is not able to relax back into the original state, causing a restriction in blood flow. Trigger point not treated after a long period of time get tighter and starts to affect the surrounding muscle group to be pulled. There are a 2 ways to treat this, first you can go for a sports massage which will cost you average $90 to $150 an hour to get a deep tissue massage to release the trigger spot or you can LEARN how to perform a self myofascial release by attending the workshop conducted at Iron Fitness Singapore. Some information about the Coach. His knowledge and experience goes beyond physical training as he is a certified rehab trainer, allowing you to put your mind at ease as you’re always in good hands. The key to achieving fitness success fast lies in a coach who can take you there and is prepared for any situation. Training is tough and while the results can be rewarding, it is also common that professional athletes suffer from injuries. Having a coach who understands your limits and able to execute recovery procedures is a definite must. And with his strong experience in trigger points, you can train and go all out without fear of injuries. 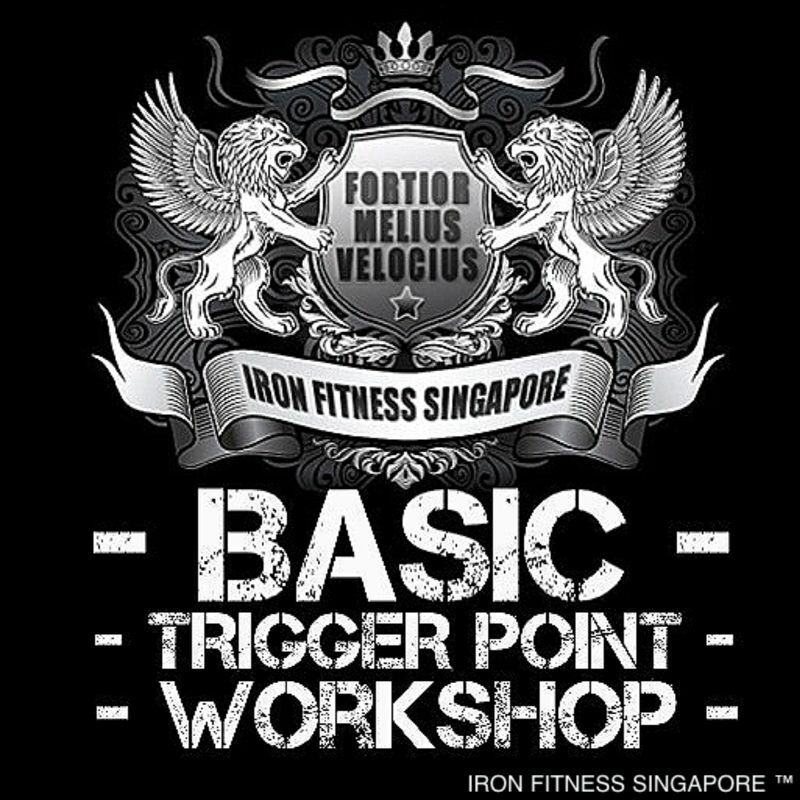 All information gotten from http://ironfitnesssingapore.com.sg/coach-kelvin/ do visit them for more information. During the workshop you will learn and apply the proper technique to release trigger point (hands on, its gonna be painful). Learn about how some common injuries occur and how to treat it (shin splints, tennis elbow, etc). Learn what causes you to feel pain. Best if you have any pain or problem in mobility, write it down! Coach will have a answer for you on the day of the workshop! 5. Full 2 hours session to understand how to release trigger point correctly. Send in your application now to heechaiong@gmail.com! Author heechaiPosted on 4 May, 2014 18 April, 2018 Categories Article, Workout TipsTags coach kelvin quah, how to prevent injuries, how to reduce your chances of injuries, how to release trigger point, how to squat better, mobility issue, trigger ball, trigger point class, trigger point workshop, what is trigger point1 Comment on How you can reduce your chances of Injuires!